Sandwiches. They've never been something that excite me. I hardly ever have a sandwich for lunch, don't ask why, I just find them a bit meh. However when I spent three weeks in America last year they did kind of grow on me. I'm not talking about the thin rubbish sandwiches that you get in supermarkets, those you can still keep away from me, I'm talking about dirty, messy, hot sandwiches. BIG SANDWICHES. However, they don't seem to be quite so common in the UK. So when Buffalo & Rye, an American style smokehouse in Birmingham city centre, invited me to try their new lunch menu earlier this week I thought I should give sandwiches another go. 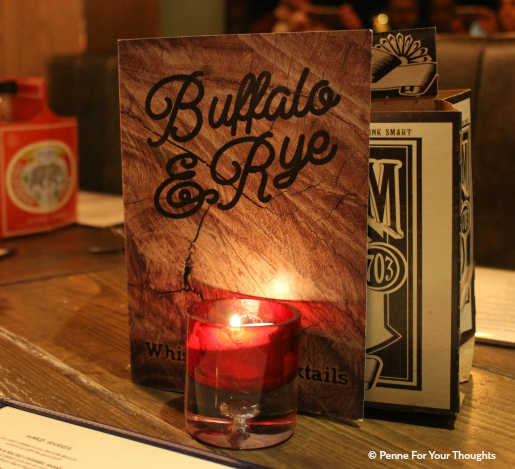 Set just off the main high street on Bennett's Hill, Buffalo & Rye is a small but cozy venue. I say cozy because it's dark and warm inside and has moody lighting. A great place to meet up with mates, have dinner, lots of drink. You know the type. So on to the lunch menu. Now launched, every day between 12pm-6pm, you can choose a hot sandwich, fries and drink at around £7.75. There are a few a little cheaper. 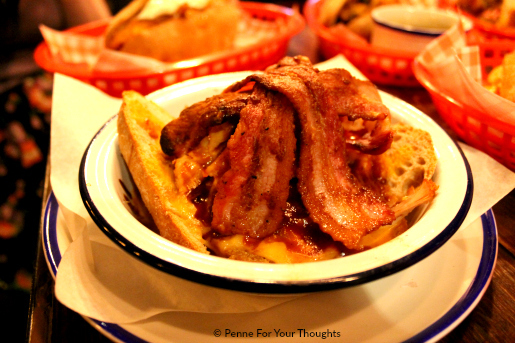 I've got to say my favourite was definitely The Hot Brown which was just complete filth (pictured at top). Plenty of pulled turkey, bacon, smoky BBQ sauce and a ridiculous amount of cheese. This would be the best hangover food ever. I also really enjoyed the St.Louis Gerber which tasted just like pizza (pictured below). 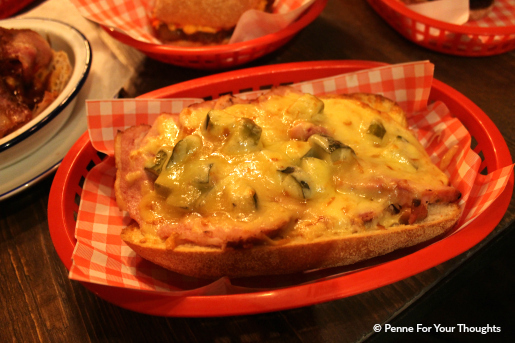 It was a sub roll smothered in smoked ham, gherkins and lots of cheese! The meat was delicious and the gherkins went really well. The other standout for me was the Crayfish and Smashed Avocado Sandwich. It had a bit of a kick to it but that's what made it great and packed full of flavour. I'd definitely go for this if I was after something lighter. The new lunch menu is now available and you can find out more on their website. Disclaimer: I was invited by Bitters n Twisted to try the new lunch menu free of charge. However, as always all opinions are my own and 100% honest. Loving the sound of the Crayfish and Avocado!